Funny how life can take many turns and twists. 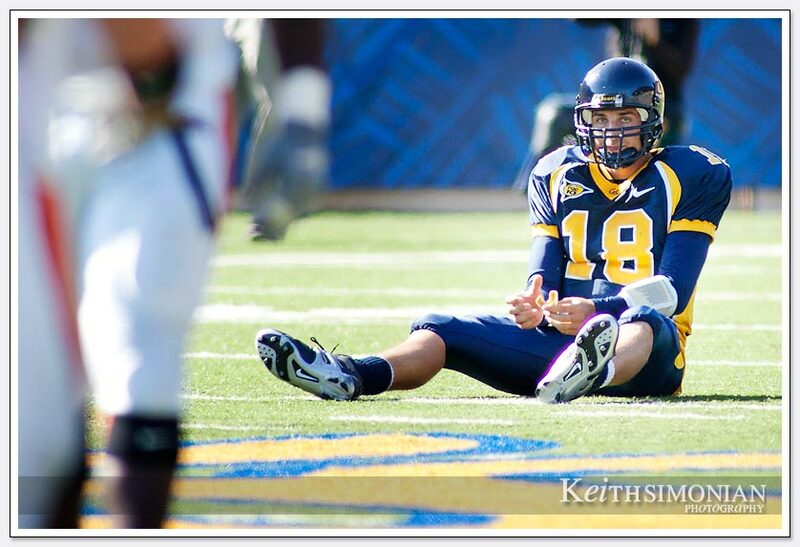 It seems very unlikely that Cal quarterback Joe Ayoob seen in this photo from October 15, 2005 in a college football game against Oregon State was thinking, “Today’s not going so great, but in 6 years, 4 months, and 11 days I will become the world record holder for paper airplane flight”. That is indeed what happened. On Sunday February 26th, 2012 Joe Ayoob threw a paper airplane that was designed by John Collins a world record distance of 226 feet and 10 inches inside a hanger at the McClellan Air Force Base just outside of Sacramento, CA. The 226 foot 11 inch throw which was one of ten official throws broke the old record of 207 feet 4 inches by 19 feet, 6 inches. When the throw is certified, Ayoobs’s toss will enter the Guinness book of World Records. It is now official: Joe Ayoob and John Collins are the new Guinness World Record holders. Facebook Timeline Cover Photo Dimensions – 851 x 315 pixels or 850 x 315 pixels?